TheArnoldFans - News - Exclusive Interview with Arnold at the Classic! We are at the Arnold Sports Festival this weekend in full force in Columbus, Ohio this weekend, and boy did we have a great start! We got to sit down with the man himself along with his longtime partner Jim Lorimer during the After School All Stars fundraising event, and he was pumped to talk about the 30th anniversary of the Classic, along with some other things! Gillinator: With 30 years the Classic has been around now, it's amazing! How do you compare what it was like at the start to where it is now? Arnold: We are sitting here with my partner Jim Lorimer who is the one who inspired me to come to Columbus because he was the producer and promoter of the World Championships in bodybuilding in 1970 and after that, the Mr. World competition which I won. It was the best organized bodybuilding competiton that I had ever seen. So I said when I am fininshed with competing I will come and be your partner and run the Mr. Olympia, Mr. Universe, Mr. World, Mr. International, all those competitions together as partners. That's what we have done for years, until we starte the Arnold Classic 30 years ago. It has been fantastic, every year it's getting bigger and better. More sports have become part of our Arnold Classic Sports and Fitness Festival. Jim Lorimer: This by far the largest Arnold we've ever had. We'll have 21,000 competitors here in 78 differnet events. The Olympic games only have 10,000 competitors. Over 3 milllion sq feet of compettion, over 1000 exhibit booths. 200,000 people come to Columbus for the weekend. Gillinator: How do you see it growing into the future, 10-20 years from now? Jim Lorimer: It far exceeds our expectations. Every year we grow, and we'll continue to grow. Gillinator: What is it that makes this so special and why to people keep coming back to it so much? Arnold: I think it's special because it gives us a chance to promote health and fitness. That's what this is all about. Not only promoting the sport of bodybuilding, but to promote those who are doing bodybuilding and weight training as a means to improve their own sports. Today exactly what Jim and I predicted almost 50 years ago, that every athlete would be training with weights, that is exactly what has happened. Every athelete is now training with weights. The military bases have weight training facilities, every police station, fire station, every YMCA, University, high school, everyone is using weights. 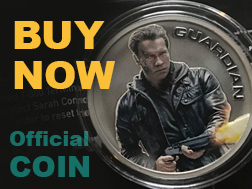 So we have succeeded with our message, and the crusade continues on, but Jim and I realize that it is not just the work of him and me, but it is everyone working together- the sponsors, the great atheletes, the officials, the judges, the Arnold fans, everyone has been coming together to help promote it, and that is why it has become the biggest event in the world. Gillinator: Exactly, and you are still looking in great shape. Are you training for any particular movie? Arnold: I'm very proud of my daily routine, my lifting and everything like that. As I told Jim the other day, I lifted 300 pounds-- I lifted Donald Trump out of the chair. So I was very proud of myself. So there's all kinds of activities going on. Gillinator: That's good! And of course you're continuing your crusade against Gerrymandering. That's a big thing with John Kasich here in Columbus. What can people do to help promote that? Arnold: I think that gerrymandering is a subject like bodybuilding that it took a while to explain and convince people that it was the right way to go. Our political system has been a rigged system and gerrymandering is something that started 200 years ago. The politicians got together in the back rrom and carved out districts so that they are secure in their disctricts so they cannot get thrown out, and this has become the worst situation for our voters because they don't get the top performers from our politicians, and because of that we have an inefficient kind of government. Getting rid of gerrymandering, getting rid of the district lines, having a redistrcting commission that they have now created in Ohio which the people will be voting on in May, I think this is the direction to go. We have done this in California and it has to be done all over the United States. Arnold: We are starting to shoot Terminator 6 in June to the middle of October, so I am in that. 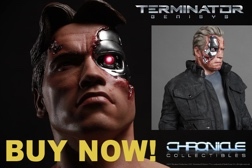 I am looking forward to coming back as the T-800 model. It's gonna be great with Tim Miller as the director and Jim Cameron is kind of supervising the whole thing. Then we are finishing off the script now on Triplets, which is sequel to Twins. Then they are also writing King Conan. Then we just made a deal to do a series of westerns on television, so we are looking forward to that. Also BIG thanks to Jim Lorimer, Daniel Ketchell, Bert Martinez, and Ohio After-School All-Stars! Hear the audio from this interview on an upcoming Arnold Radio News, and we'll be back with more news from the Arnold Classic!